since we’re in a shoppy mood, we had to take this opportunity to share an unsecret secret-weapon of ours: banana republic jewels. with few pieces ever over $100, banana is our only mall spot for on-trend necklaces and earrings. we storm into the shop on a mission, purposely avoiding our eyes from the mom pants and loafers that surround us. though we may only find the occasional gem in the banana clothing line-up, the jewels very rarely let us down. 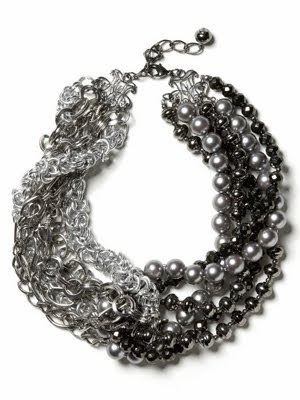 check out this multimedia stunner – just about the only way we’d wear pearls. check this (and other mad statement pieces) here.